Team Blacksheep are pushing more and more into custom designed multirotors. 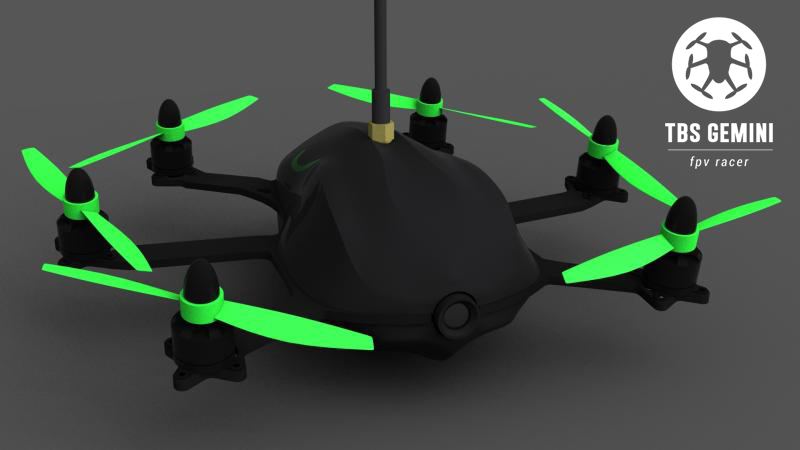 Their latest project is the Gemini, a miniature FPV hexacopter with forward-tilted motors – specifically designed for racing. Preorders will be fulfilled in two batches, with the first to arrive end of September. Price is around USD $600.- for the RTF version that includes everything except receiver and transmitter. Check out the video and more details after the break. 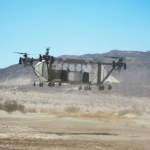 While not exactly FPV related, this is a multirotor: The Advanced Tactics Black Knight Transformer adds VTOL capabilities to a land vehicle using several rotors. According to AT, it can survive the loss of one engine without problems, and the whole system is modular so it may be bolted onto other vehicles in the future. 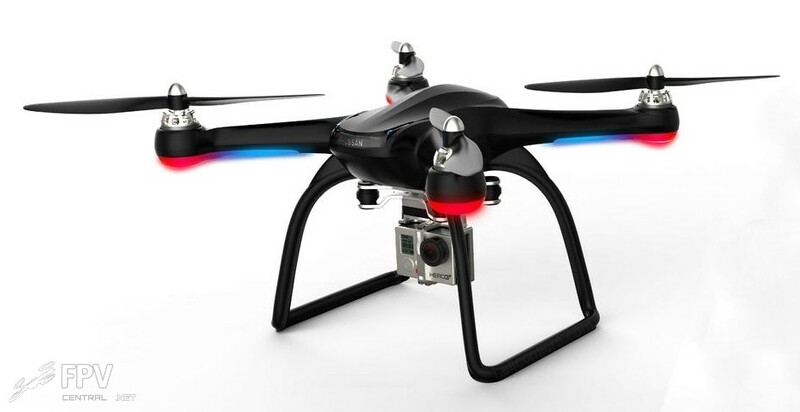 The CX-20 is a GPS-capable quadcopter comparable to the DJI Phantom. We haven’t had a chance to review one yet, but from various flight footage on youtube this model seems to be very stable and have a good GPS position hold function. 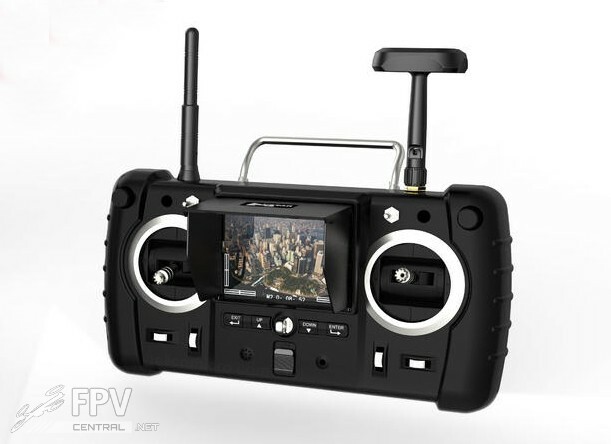 The RTF copter features a replaceable RC receiver so you can connect your favorite RC control system and use your existing transmitter instead. 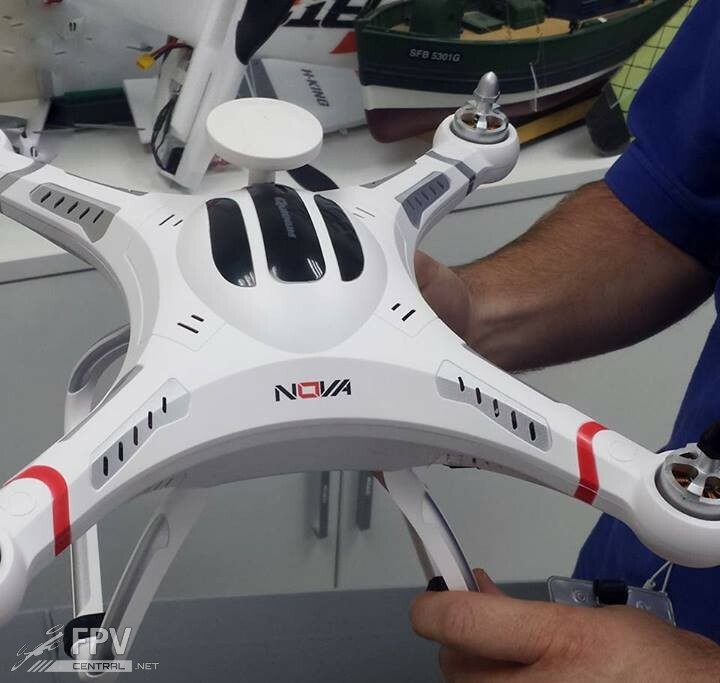 Interestingly, the cool-looking external GPS antenna seems to be for show only, as images by customers show that the actual antenna is right inside the quadcopter’s main body. The original CX-20 is on sale for $330 on Banggood, so it remains to be seen how much HK will charge for this one. As soon as the first quadcopter is in the air, the next question is always what else it could carry. Aside from beer, there’s always fireworks and lasers. 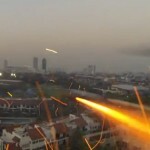 And here are a few videos showing “weaponized” quadcopters for your enjoyment. Not that this hasn’t been done before, but it’s always fun to watch. 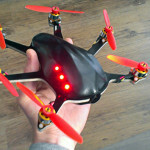 Do you wish you had a pocketable multirotor that can fly autonomous missions controlled by your tablet? 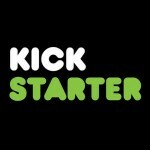 The Pocket Drone is now looking for backers on Kickstarters, and their concept looks rather interesting. 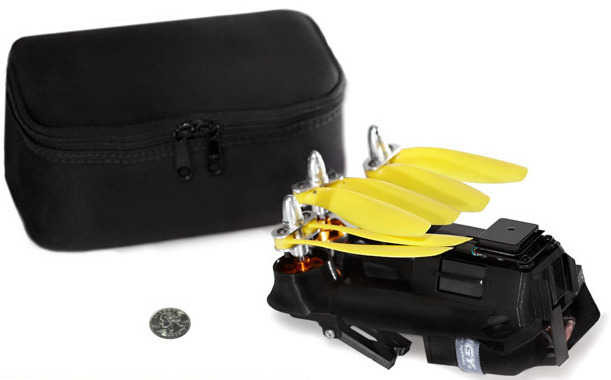 It’s essentially an APM powered tricopter with a nifty foldable frame that also acts as a case for the flight controller and GPS. Several packages are available, including a bind and fly package for DSM transmitters, as well as a RTF package with transmitter and a video package that includes everything along with an onboard HD 1080p camera. Price for the bind and fly Kickstarter backing level is $445, the RTF costs $495, and with the HD camera price reaches $595. Since this is a kickstarter and you’re essentially funding the development and set-up cost of the company, this is not a bad deal. Especially considering you’re getting the world’s first civilian autonomous drone that you can just pull out of your backpack and have fly waypoint missions that you plan on your android tablet or phone. Of course you CAN just 3D-print your own frame and get all this for a fraction of that price. But that’s the price you pay for convenience, which is exactly what companies like DJI earn their money with. Pining for that upcoming Hubsan H109? 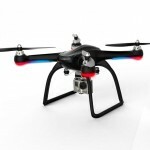 Hubsan’s upcoming Phantom-competitor certainly looks interesting, and now they’re upping the ante with the announcement of the GoPro-ready H109S Pro X4! Features are GPS position hold and return to land, barometer sensor for precise altitude hold and the possibility of waypoint capability via future updates. Perhaps most interestingly this comes with a massive 5300mAh battery for flight times of up to 30 minutes, according to Hubsan. Sadly though, it comes with a modified version of the old Hubsan FPV transmitter, so the question is whether the short transmitter battery life issue has been fixed. Also according to the manufacturer this will use the Hubsan radio protocol, which means it’s a non-hopping, single channel 2.4GHz system. This time however they added a proper SMA connector for the FPV antenna, and they even supply both a linear patch as well as a circular cloverleaf antenna in the set, so you can exchange antenna depending on the situation. No word on price yet, though preorders for the vanilla H109 are at $150 right now. With the right price point and proper performance this could very well be a solid competitor in the field of RTF multirotors. Planned release date is end of February 2014. Full official blurb after the break.